A senior from the International Academy in Bloomfield Hills won the seventh annual Bloomfield Hills Financial Stock-to-Scholarship Challenge. Yashar Ghaffarloo, who took second place in last year’s competition, earned 37 percent on his stock investing strategy and won a $5,000 scholarship for winning the competition in the process. There were other winners who beat out 600 metro Detroit high school students in the competition. This includes second-place winner Kevin Li, a senior at Troy High School, and Brendan Unger, a senior at Farmington High School. Li earned a mere $72 more than Unger to earn a $2,000 college scholarship. He won the same prize in 2015. Unger earned a $1,000 college scholarship for finishing third. Arnav Talukder, a junior at Novi High School, won the Investwrite essay contest, taking home a $500 scholarship. 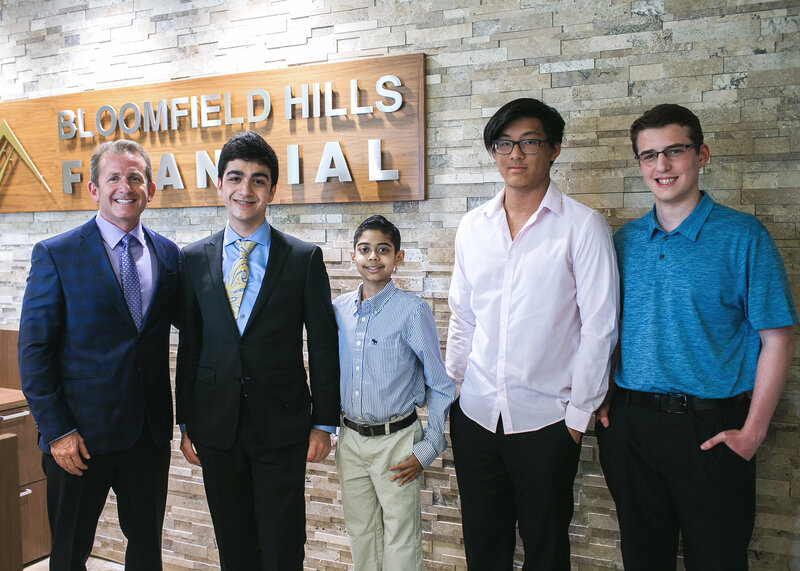 “We’re thrilled to have so many students compete for scholarships and learn about personal finance and stock trading through our program,” says Kevin Van Dyke, founder and president of Bloomfield Hills Financial, which hosted the competition.